I love trying new fruits and vegetables that I've never heard of before. Whenever I can, I like to pick up one novel item each time I do groceries. Sometimes it's awful and sometimes it's spectacular. Either way it keeps life interesting. 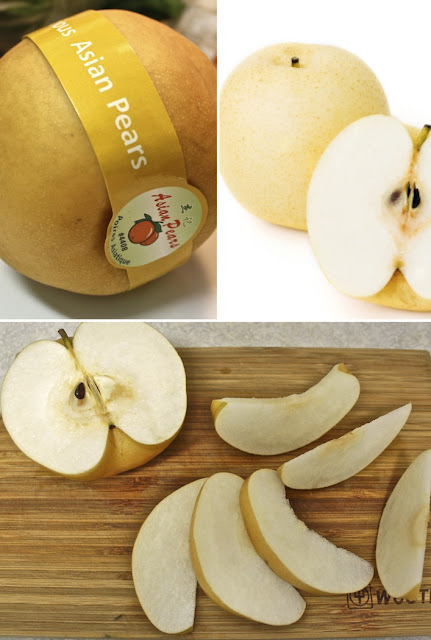 This week I bought a Nashi pear (aka the Asian Pear). This is probably well known to a lot of people but it was new to me. It had the flavour of a pear, with the crispness of a granny smith apple crossed with a water chestnut, and the texture of a watermelon. Overall, it was an enjoyable experience but I'm not sure I'd go out of my way to buy it again.